CREATE YOUR OWN SMALL BUSINESS WEBSITE. NO EXPERIENCE REQUIRED. 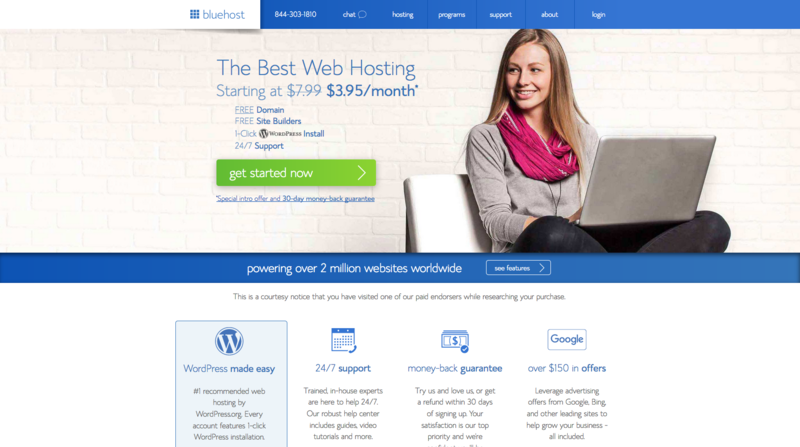 If you’re interested in self-hosting a WordPress website for your small business, we recommend using Bluehost. Not only are they recommended specifically by WordPress.org, they offer 24/7 support with staff who will be able to answer any of your WordPress questions or concerns. You get a free domain, a free SSL certificate, their interface is user friendly, and you can install a WordPress website with just one-click. You also have 30 days to change your mind and request a refund if you’re not satisfied. Follow these simple steps to sign up now. 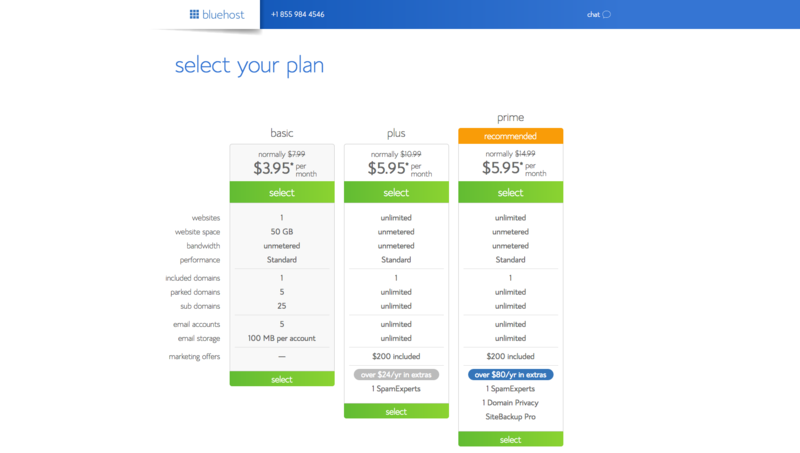 2/ Select your plan. If you’re a small business with 1 website, the Basic plan is likely your best choice (you can upgrade any time if you want or need). 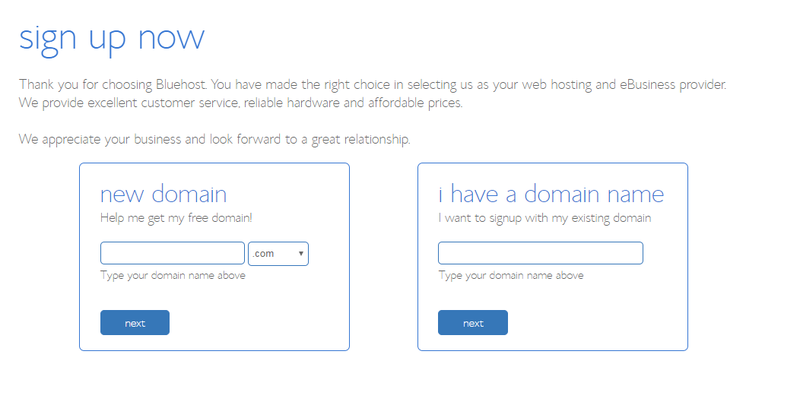 3/ Choose your domain. Your domain is your website address (ours is thebordenformula.com). 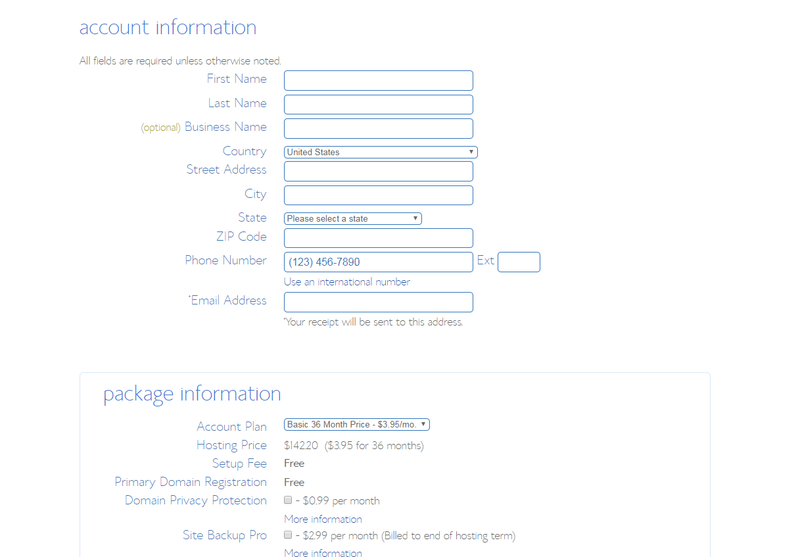 You can register a new domain on the left, or enter a domain you already own on the right. 4/ Enter your Account Information. Fill out your account information. When selecting your package information, we generally skip the add-ons, however you might be interested in Domain Privacy Protection to keep your personal information private (this option only appears if you registered a new domain in step 3) . 5. Complete your setup. Choose a password and save your login somewhere you can easily access. 6. Open WordPress. After setting your password, click the blue “log in” button to open wordpress. 7. Start Building. Click the blue “Start Building” button. If your business is a product, click here for next steps. If your business is a service, click here for next steps. If you’re creating a blog, click here for next steps. After years of working with clients at varying stages of their businesses, we know that sometimes the budget isn’t there, sometimes the content isn’t there, and sometimes the business isn’t defined enough to know what to do first or what to commit to showcasing...but you still need a foundation... an online presence. At Borden Communications we are all about solutions. In the name of creativity and efficiency, we have created your solution - and such a simple one. Follow The Borden Formula and you will be online (and proud) within the hour. Get started now! Many people or companies can deliver a strategy, give good advice, or help to create opportunities; we do it all (and more) with a different attitude and we’re relentless in the pursuit of success for you, while ensuring a return on your investment. WANT TO RECEIVE A MONTHLY ROUNDUP FROM LISA? This website was built on the foodie theme by Studio Press using The Borden Formula.